This simple recipe combines the flavours of chestnuts, Parma ham and butternut squash to make a hearty meal. Use Merchant Gourmet chestnuts, which are already cooked and peeled, to save time. Heat the oil in a large pan, add the onion and half the ham. Cook for 2-3 minutes until the onions are beginning to soften. Stir in the chestnuts and cook for a further 5 minutes so that they absorb the flavours. Add the butternut squash, stock, nutmeg and seasoning. Bring to the boil, then simmer uncovered, stirring occasionally, for 20 minutes, or until the squash is tender. Using a wooden spoon, thoroughly stir to break up the squash but leave some texture. Preheat a frying pan and dry fry the remaining ham until crisp. Ladle the soup into bowls. Garnish with the parsley and the crisp ham pieces, and serve with chunks of warm bread. 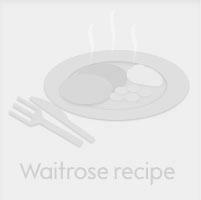 Cook's tips: For a vegetarian version, omit the Parma ham from the recipe. To make a simple chestnut stuffing, mix together 2 x 200g packs Merchant Gourmet Cooked & Peeled Whole Chestnuts, roughly chopped, 1 onion, finely chopped and fried, 1 pack chopped, fresh flat-leaf parsley, 450g Waitrose Stuffing Sausagemeat, and salt and freshly ground black pepper. Roast with your turkey and check that it is thoroughly cooked before serving.